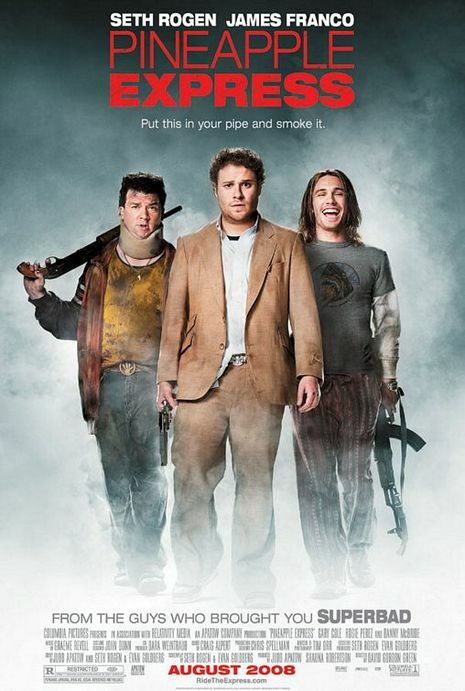 Pineapple Express is a 2008 American comedy film directed by David Gordon Green, written by Seth Rogen and Evan Goldberg and starring Rogen and James Franco with cameo appearances by Ed Begley, Jr. and James Remar. Producer Judd Apatow, who previously worked with Rogen and Goldberg on Knocked Up and Superbad, assisted in developing the story, which was partially inspired by the buddy comedy subgenre. The film was released on August 6, 2008. Franco was nominated for a Golden Globe award for his performance in the film.